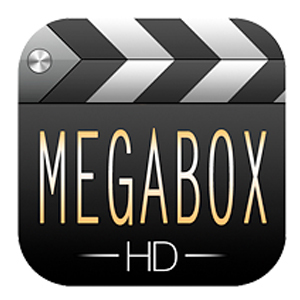 MegaBox HD is a movie streaming app that is not available in the app store. You can download it from the third-party app store, but that requires a jailbroken device. Today, I show you how to download MegaBox HD app for iOS without jailbreak. MegaBox HD, as I said is a movie streaming app that allows the users to watch latest and the old movies online for free. You can watch all the movies on your iOS device. If you have an iPad, you can install Megabox on iPad and watch movies on the large screen. Apart from streaming movies, MegaBox HD also offers an excellent collection of TV shows from around the world. The app also comes with Download feature using which one can download movies and TV shows and watch it according to the convenience later. The app allows the users to adjust the quality of the streaming Movies and TV Shows for better-watching experience. 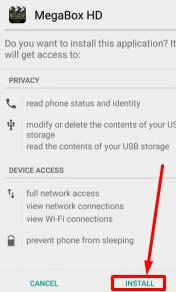 The downloaded content can be moved from the app to any other storage location. You can sort the content based on the latest addition and popular tag. Get familiar with iCloud with our Beginners Guide to iCloud – Know it All! Adjust video quality from 340p to HD 720p and download content in 1080p if available. As I said earlier, the Megabox HD app is not available in the app store, so we have to download it from the third-party app store. Download and install vShare on an iOS device. If you have vShare already installed, you can skip the vShare download and installation steps below. Download vShare PC client from the official website and install it. Once installed, connect the iOS device to PC and launch vShare. Wait for vShare to detect the iOS device automatically. When detected, the device will show in the vShare screen. Tap on Install vShare icon to install vShare on your iOS device. After the installation is complete, disconnect the iOS device from PC. Launch vShare on your iPhone and tap on the search box. Type “MegaBox HD” and tap on the search button. Tap and open Megabox HD from the search result. Tap on Download button to download the app. To install the app, wait for it to download. Tap on Install button when it appears. Now you need to trust the developer before being able to use Megabox HD app. Go to Settings > General > Profile and Device Management. Find the profile for Megabox HD app and open it. Tap on Trust button twice to make the profile trusted. You can now open the app and enjoy streaming movies and TV shows online using the Megabox HD app. The good thing about this app is that for the movies, the app mostly provides HD 720p resolution videos compared to Terrarium TV app that offers the mix of Cam and HD prints.